Tasmania, Australia. A nasty incident involving a laser pen left a young boy almost blind. 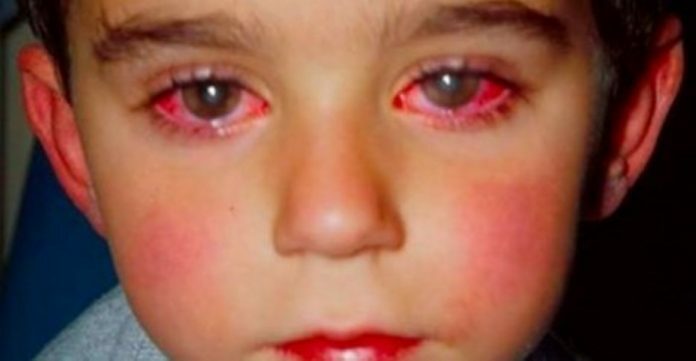 The child, who has not been named, has lost 75% of his sight after a prank went wrong. And it’s sparked a national – and now international campaign – to alert parents as to the potential harm that such ‘toys’ can do. Retinal damage is a very real possibility. This wasn’t a one-off case, eye specialists across the globe have campaigned for years now to get age restrictions in place for the purchase and owning of these light-beaming instruments. The child shone the light into his eyes and felt no pain, so carried on playing. It was only until a few hours later that he began to lose his sight and his parents had to rush him to the local hospital. ‘He’d got hold of a laser pen and unfortunately shined it in his eyes for a very brief period of time. His vision is down to about 25 per cent of what we call 20/20 vision and unfortunately at this stage it’s unlikely that that vision is going to recover. The laser burns are basically areas where he’s not going to be able to see ever again,’ the boy’s optometrist Mr. Ben Armitage said. These laser pens are undoubtedly dangerous. Especially in the wrong hands. What’s the cut-off point for owning one? How old should a child be before you allow them to play with them? Well, our advice is not to let them at all. You can’t guarantee that it won’t get in the wrong hands or accidentally cause damage. Say no to your kids on this one. It’s what’s best for them and their friends. Previous articleWoman Gets AWESOME Revenge On Her Ex-Husband And His Young Girlfriend! Next articleHunters Couldn’t BELIEVE What They Found Inside This Wild Boar! Wanna Survive The Apocalypse? Then You Need One Of THESE!